There are so many Dragon Age Origins PS3 Cheats you can find on internet. Here are some cheats for this awarded game of 2009. You can unlock classes for free while still keeping your money since the game unlocks a class for the whole save data for other playable characters. This is how you do it. – Save your money first. Buy all the manuals for classes, use them, and reload. The classes are unlocked and you will keep all your money. When you’re in the Fade Resquing Corner, save first before talking to the Desire Demon then ask for the Blood Mage class. When all the cutscenes are over, reload and you will able to choose something else. – Morgan, Allister, and others offer job classes. Just save up all the gifts then save the game. Give all the gifts to one friend then talk to them into teach you the class. After you reload, the class is unlocked but you still keep the gifts. This trick will make your item sold twice its value. Put your most expensive item in your inventory (junk section). Find a merchant, highlight the expensive item you store in junk section, then press Triangle followed by X very quickly. Repeat the process as many times as you like. Rouges with the Ranger talent and all skills can summon a wolf and a bear at the same time. When you are summoning the wolf and your cast time bar is almost over, then click to summon the bear. Your character will summon the wolf and then summon the bear. You can control both animals. This trick won’t work with the spider. Below are some trophies you can get by completing each requirements. The Ultimate Reward (Platinum), unlocked by completing all Bronze, Silver, and Gold Trophies. A Dark Promise (Gold), unlocked by defeating archdemon and through a dark ritual with Morrigan, spared your own life. Blight-Queller (Gold), unlocked by killing 1000 darkspawn. Archmage (Silver), unlocked by achieving level 20 as a Mage for your main character. Shadow (Silver), unlocked by achieving level 20 as a Rogue for your main character. Master Warden (Silver), unlocked by killing 500 darkspawn. Master of Arms (Silver), unlocked by achieving level 20 as a warrior for your main character. Dragonslayer (Silver), unlocked by defeating the dragon guarding the Urn of Sacred Ashes. Bloodied (Bronze), unlocked by completing an origin story without your main character ever falling in battle. Defender (Bronze), unlocked by preserving the lives of half the troops at Denerim’s Gates in The Final Battle. Grey Warden (Bronze), unlocked by killing 100 darkspawn. Liberator (Bronze), unlocked by destroying the Anvil of the Void. Wine, Woman, and Song (Bronze), unlocked by experiencing the thrill of romance with Leliana. There they are, the selected Dragon Age Origin PS3 Cheats you can use. I hope it works. 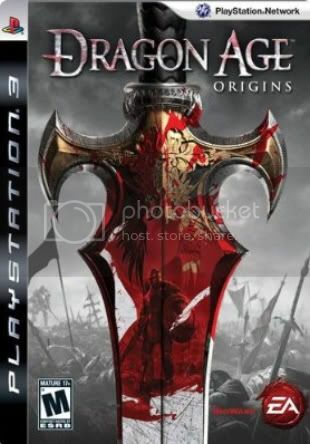 This entry was posted in Cheats, Sony PlayStation and tagged dragon age origins cheats, dragon age origins cheats ps3, dragon age origins ps3, dragon age origins ps3 cheats, dragon age origins ps3 secrets. Bookmark the permalink.